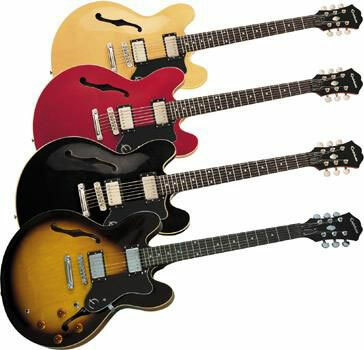 The Epiphone Dot is an affordable archtop guitar based on the Gibson ES-335 Dot which was originally released in 1958. The ES-335 (ES stands for Electric Spanish) was the first commercially available thinline artchtop semi-acoustic and has been an incredibly popular guitar with a massive following. This style of guitar has been used by countless guitarists and B.B. King’s iconic guitar called ‘Lucille’ was based on the later model ES-355. 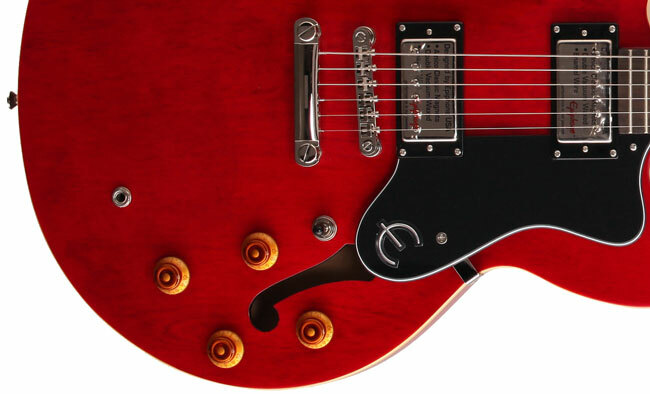 While the Epiphone Dot is based on the ES-355, this review will not try to compare the two. I believe a guitar should stand on its own rather than assess it based on what it is trying to copy. 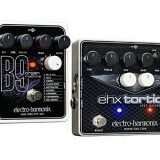 This review will look at whether the Epiphone Dot is a good guitar. Comparing a sub $300 guitar with a $3,000+ guitar is an unfair comparison so let’s focus on whether the Dot is a good guitar on its own. Check out the price and full details of the Epiphone Dot here (link to Amazon). Some guitarists tend to avoid guitars like the Dot because they mistakenly feel the large body would be awkward to play compared to say a strat. The reality is that this is a very comfortable guitar to play. The body is quite large but it’s slim at the same time so you don’t feel like you’re playing something like a bulky acoustic. Younger children may have problems playing while seated, but for most adults, it’s not a problem. The neck does feel quite wide in your hands but that also depends on what you’re used to. This is a vintage style guitar so you should expect a slightly flattened neck that does feel fatter as you move up the neck. As I’m used to and prefer slim necks this did take some getting used to but I can definitely see why many guitarists prefer a fatter neck. The action and intonation were quite good and didn’t need any adjustment out of the box. The strings that came with the guitar had the third string wound so if you prefer a lighter set you would need to adjust the intonation on the third string. Before I plugged the Dot in I strummed around for a bit to hear the sustain and acoustic tone. It resonates very well. This is due to the solid block through the center section of the guitar behind the pickups. This was designed in the original ES-335 to improve sustain and remove feedback. The block used in the Dot is made of maple – same as the body and top piece. This all maple body does contribute to the nice acoustic sound produced. When plugged in, I started experimenting with blues and jazz improvisation on a clean tone and it’s immediately clear why this guitar perfectly suits those styles. The Epiphone Dot’s pickups (especially the neck pickup) produces a nice round and smooth tone that fits perfectly with a mellow jazz feel. The bridge pickup does give a bit more edge and clarity and it’s clear why this guitar is so versatile. The Epiphone Dot pickups are Alnico Classic Humbuckers which are designed to produce a more vintage sound. I’ve read reports from many guitarists who love these pickups while others upgraded their to suit their own specific needs. Like any other guitar, you will only know whether the pickups suit you when you play it for a while. My thoughts before trying the Dot out were that it would suit styles like blues or jazz, but wouldn’t suit much else due to the hollow-body. So I experimented with different styles and tones. 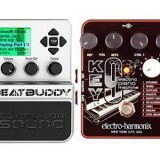 I started off playing a EHX Soul Food (read my review here) through a valve amp and the tone was buttery-smooth. This guitar really shines when you add a bit of dirt to the signal. Cranking up the amp produced either a raw and edge tone from the bridge pickup or a smoothed out and wide sound I can’t produce from my other guitars. It really was great fun. Then I turned to a solid state amp set to a metal style distortion to see how versatile the Dot really is. The result is that it does work to a degree. The pickups simply don’t compete to the high output pickups used in guitars designed for rock or metal, but it still works. While you definitely shouldn’t buy this guitar for metal purposes alone, if you do have a wide range of tastes in styles, then it will work. Of course when I moved away from the metal distortion and aimed for a more straight-forward rock or punk tone, the Dot excelled. As an example, Tom DeLonge’s and Dave Grohl’s signature guitars are both based on the ES-335 – and of course the pickups will be different, it’s clear that this style of guitar works well for a range of other styles. To give you an idea of the versatility of this style of guitar, here are some well-known guitarists who have used the ES-335: Alvin Lee, B.B. King, Eric Johnson, Dave Grohl, Chuck Berry, Josh Homme, Chris Cornell, Eric Clapton, T-Bone Walker, Freddie King, Noel Gallagher. At no point did I feel like this was a cheaply made guitar. In fact, at no point did I ask myself “I wonder what the ES-335 feels like compared to this”. That’s a great sign because it means the Dot is a great guitar on it’s own. Sometimes when I play clone pedals I get the feeling that the effect is merely a poor imitation of the pedal it’s trying to copy. With the Dot it never felt like an imitation of something better. ES-335 owners may strongly disagree, but for this price it’s a very well made guitar. The Dot has been manufactured in Korea and China over the last couple of decades. Online you can find people raving about the Korean builds and saying the Chinese builds are rubbish and you can just as easily find people saying the opposite. Don’t take talk like that too seriously because unless you have access to hundreds of guitars from each country to do a direct comparison, there’s no way to find out if one country does produce better quality guitars than the other. So whether you buy a Dot manufactured in Korea or China (or any other country in the future), the chances are very high you will receive an excellent quality guitar. The last Epiphone I played was an Epiphone LP Special II (read my review here). That guitar was designed as an entry-level option for beginners and I was surprised by the quality for such a low priced guitar. The Epiphone Dot is twice the price of the LP Special II and I can easily say that the extra cost is well worth it. The Dot is a fantastic guitar that allows guitarists to have a great experience with an ES-335 style guitar without having to spend four figures. In addition to my own experience with the Dot, I’ve read nothing but raving reviews online from other guitarists which is a great sign that if you buy one, you can expect a great quality guitar. I know some people will be looking to buy an Epiphone Dot used, but I would advise against a used Dot. The reason is that the quality of the Dots have improved over the last decades and it’s well reported that the Epiphone Dot from the 90s is a completely different guitar to a Dot manufactured today. I would definitely avoid buying the Epiphone Dot used. I have read reports of guitarists unhappy with the Dot and it turned out it was simply because they bought a used Dot that wasn’t taken care of properly (eg: fret damage). I would also avoid buying an Epiphone Dot on eBay for the same reasons. Check out the price and details of the Epiphone Dot here (link to Amazon). Blues, jazz or similar styles: if you enjoy playing any style of music where this style of guitar is commonly used, then the Dot is an excellent choice. I had great fun jamming to some B.B. King songs with this as it’s far easier to get the right feel and vibe with the Dot compared to any other guitar. 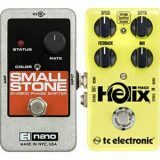 Vintage without the price: if you love vintage style gear but don’t like the idea of paying four figures to get an ES-335, then the Dot is right for you. I have quite a few guitars hanging on my walls but as soon as I put up a Cherry Red Dot on my wall, it was clear how striking this guitar really is. Stunning design. I love the style of this guitar and couldn’t imagine paying $3,000+ for the ES-335 so if you don’t like that price tag either then the Dot is right for you. 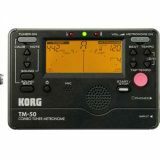 Guitarists looking for a high output guitar: I had to scratch my head when I read reviews from other guitarists saying this guitar nails a good metal tone. While the Dot is versatile, it definitely isn’t suitable for a high output signal. The pickups aren’t designed to give you a metal tone so you shouldn’t buy this guitar is your main style of playing is metal. Yes you could replace the pickups, but wouldn’t it be better to buy a different guitar better suited to the style you want to play? The good thing about this style of guitar is that you don’t have to look far to find guitarists who use one. What I recommend to get the most out of the Epiphone Dot is to go through guitarists who use one and try to match their tone and learn their songs. Start with some B.B. King then move across to some Freddie King or T-Bone Walker, then move across to other guitarists such as Dave Grohl or Tom DeLonge. Go through the different styles the ES-335 has been used in and get a feel for how you can use the guitar in different styles. Even if you currently only focus on one particular style, you’re going to appreciate the Dot far more when you learn how to use it across different styles. So check out the guitarists I listed earlier and find the songs they used the ES-335 on. There are plenty of alternatives to the Dot so I’ll stick to the closest alternatives you have available if you like what you’ve read but are looking for something just a little bit different. The Epiphone Dot Studio is a stripped down version of the Dot at a lower price. You can check out the Dot Studio’s features and photos here but I would question whether the cuts in features are worth it. When I look at the Dot Studio, it looks like a bland version of the Dot. But other guitarists do seem to enjoy using it so if you’re looking for a basic version of the Dot, this is one to consider. See information on pricing, availability and other reviews here.